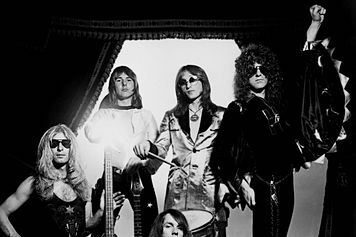 "I wish I'd never wanted then what I want now twice as much": Mott the Hoople frontman Ian Hunter thought about his privileged position and double-edged love of the game in a way that seems alien in the early 21st century, when the most superficial trappings of rock-stardom are celebrated and coveted. 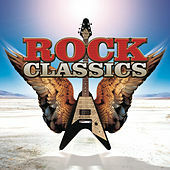 How many of today's young Jets or Vines would think to describe air flight (economy class) in detail for less-lucky fans, as Hunter did in his 1974 Diary of a Rock 'n' Roll Star? 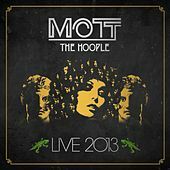 Mott the Hoople were a gang of hard rockers formed in late-1960s England, with the ever-besunglassed Hunter replacing original singer Stan Tippens (who moved into the road manager slot) in 1969. 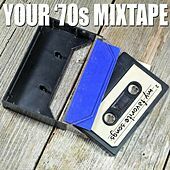 Their early albums were distinguished by Hunter's Dylan-esque vocals and surprising covers of Sonny Bono's "Laugh at Me" and Dion's anti-drug "Your Own Back Yard." 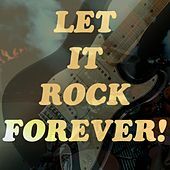 Despite the artistic success of LP number four, Brain Capers (with the sizzling original "Death May Be Your Santa Claus"), and a steady following as a live act in the U.K. (Mick Jones, later of the Clash, was a fervent acolyte), the band was ready to quit in 1972. 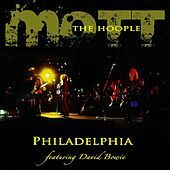 Enter David Bowie, who offered a choice of songs to the frustrated Hooples. 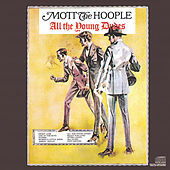 Choosing "All the Young Dudes" over "Suffragette City," they entered the studio with Bowie as producer of their first album for CBS/Columbia. 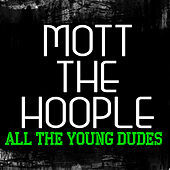 Mott quickly became superstars, with ÃÂÃÂÃÂÃÂDudesÃÂÃÂÃÂÃÂ an anthem of the new glam rock. 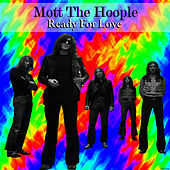 The long-player of the same name is one of the ultimate documents of the era: tough, funny rock 'n' roll with a mile-wide groove. 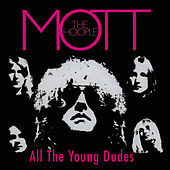 Though they were never as popular in the States as in their homeland, Mott the Hoople did place "Dudes" in the U.S. Top 40. 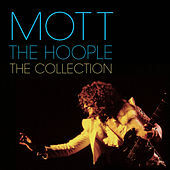 Another masterpiece followed in 1973: Mott was a smart, verbally layered piece of English rock, keynoted by the wry "All the Way From Memphis" ("You look like a star but you're still on the dole") and, with "Violence," presaging Kurt Cobain's critique of the mass rock audience. 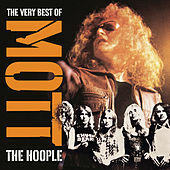 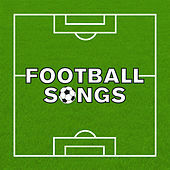 Hunter is also heard struggling with the perils of getting what he wanted and losing what he had on "Hymn for the Dudes" and "Ballad of Mott the Hoople." 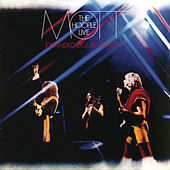 Guitarist Mick Ralphs left shortly after making the record, joining with ex-Free vocalist Paul Rodgers in the entertaining but simpler Bad Company. 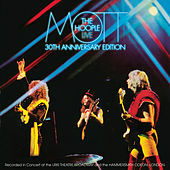 Mott the Hoople carried on with new guitarist Ariel Bender (Luther Grosvenor) for 1974's weakened The Hoople. 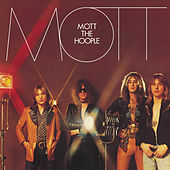 One-time Bowie sidekick Mick Ronson replaced Bender; soon he and Hunter kicked it in, teaming up for the latter's solo debut as Mott staggered forward under the shortened moniker for two more albums. 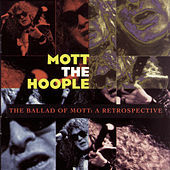 Ian Hunter's "Once Bitten Twice Shy" later became metal hacks Great White's biggest hit. 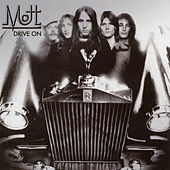 Hunter and Mott's imagination and drive remain near the height of '70s rock.